NEW YORK (CNNMoney) -- Most Americans don't have nearly enough money stashed away for emergencies and more than one-in-four don't even have a single penny saved. While the general rule of thumb is to have an emergency fund that will cover at least six months of expenses, only 25% of Americans have that amount saved, research released Monday by Bankrate.com finds. About 49% of Americans don't even have enough money saved to cover three months of expenses -- slightly worse than the 46% of Americans who reported having less than three months worth of savings last year. And 28% don't have any cushion whatsoever -- up from 24% last year, according to the report, which was based on a survey of 1,000 adults. "Incomes are largely stagnant, so it's difficult for people to make significant headway on savings when household expenses are creeping higher but incomes are not," said Greg McBride, senior financial analyst for Bankrate.com. "Prolonged unemployment has also depleted the savings of many people who at one time had a more appropriate cushion." While the overall saving situation has gotten slightly worse in the past year, Americans are saving more this year than they were six years ago. In 2006, Bankrate found that 61% of Americans didn't have enough emergency savings to last three months. "Relative to a year like 2006, the needle has moved a little bit, but this is more of an indication of how woefully undersaved Americans were during the 'go-go days' of the housing boom," said McBride. While some may argue that they don't have enough money to contribute to an emergency savings account, McBride said it's just a matter of getting into the habit. 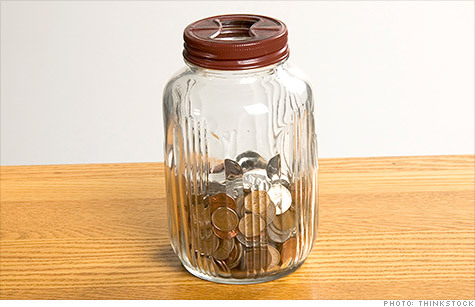 "The biggest barrier to saving is not being in the habit of saving," he said. "By establishing that habit, even if an unplanned expense comes up and wipes out what you've accumulated, you're only one paycheck away from restarting the saving process." To start saving, he recommends setting up a direct deposit from your paycheck or checking account into a dedicated savings account and to keep track of your spending so that you funnel as much extra income as possible into your savings account each month.